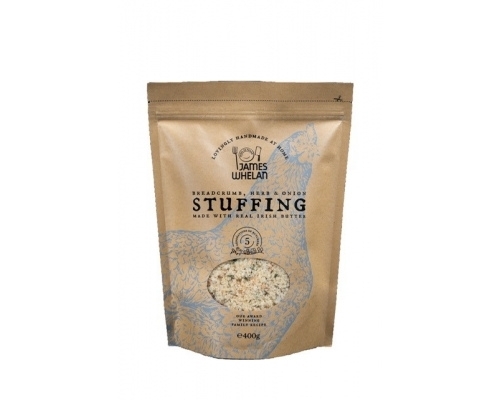 The right stuffing makes a dish, and we are not the only ones who think this one is great - it's got awards to prove it! Made from soft breadcrumbs, onion, parsley and fresh herbs, our delicious homemade stuffing is the perfect partner for chicken or turkey. It's also great for stuffed rolled meat, or in roast red peppers or try a little on top of pies for a tasty crisp topping.